1.PREMIUM GROOMING IN THE COMFORT OF YOUR HOME – Enjoy top quality hair removal services anywhere you are. Our hair removal device features a compact design that lets you easily carry it with you whenever you go. Never again will you spend hundreds of dollars at a beauty salon. 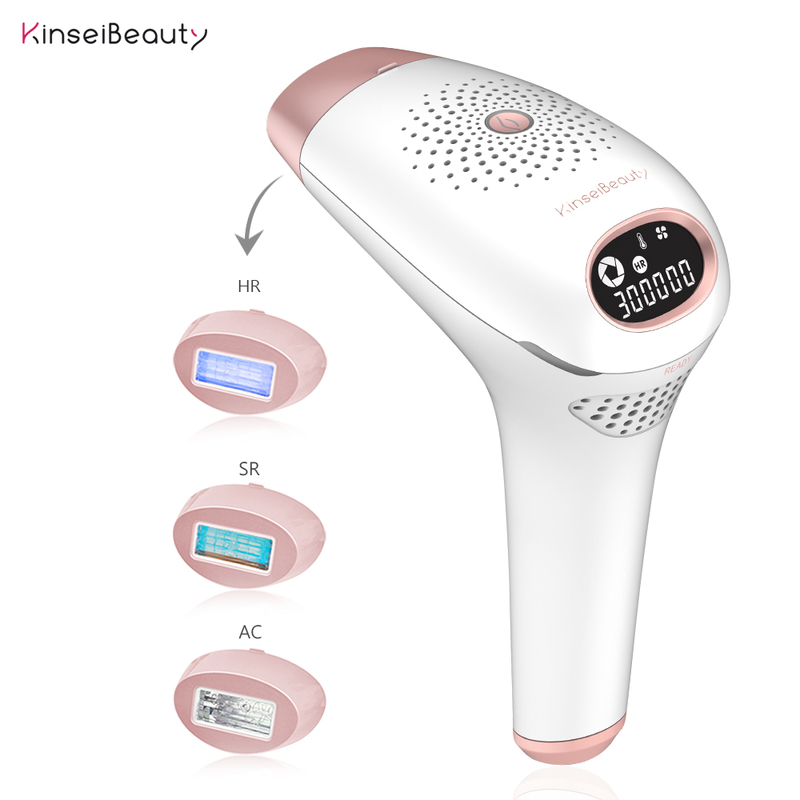 2.MOST EFFECTIVE BODY HAIR REMOVAL SYSTEM – kinseibeauty body hair remover uses Intense Pulsed Light (IPL) technology to deliver the most effective permanent hair removal. It has 5 energy levels, and is going to give excellent results in only 4-6 treatments. 3.100% SAFE FOR YOUR SKIN – The latest IPL hair removal technology guarantees you complete safety compared to other methods of permanent hair removal. You are therefore guaranteed complete safety when you make this your hair removal device of choice. Wear goggles when using the device. 4.IDEAL FOR USE BY MEN AND WOMEN TOO – Our IPL permanent hair removal device is the ideal choice for both men and women. It is ideal for removing hair from the arms, underarms, legs, back, chest, bikini line, and face. NOTE: Not for use on red, white, or gray hair and brown or black skin tones. 5.RELIABLE CHOICE FOR THIN AND THICK HAIR REMOVAL – We did research on over 2000 persons all around the world. For thin hair removal:around 86.5% people thin hair is gone in just 5 sessions.For thick hair removal:around 83.2% people require 8 sessions.After 3-6 month usage,the hair is visibly less and hair-growth is prevented,we just need to maintenance in just every two or more months. What is IPL at home permanent hair removal? IPL is intense pulse light,it has been proven in clinical use for over 10 years as a safe and effective technology. Filters in the handpiece change the wavelength arrange allowing it is optimized for different applications and skin type. Step 8: Put device and accessories into packing box and store in safe place.